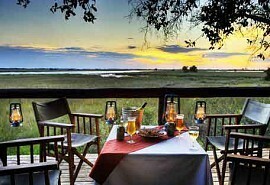 This 9-night safari explores 3 different regions of Botswana and includes the unique Okavango Delta, the Moremi Game Reserve and the Chobe Forest Reserve. Guests will experience the thrill of flying over these breath-taking wilderness areas via light aircraft transfer. This 9-night safari explores 3 different regions of Botswana and includes the unique Okavango Delta, the beautiful Moremi Game Reserve, as well as the Chobe Forest Reserve. Guests will experience the thrill of flying over these breath-taking wilderness areas via light aircraft transfer. Activities include open 4x4 game drives with experienced game rangers, nature walks, mokoro safaris and game watching activities. From US$6700 per person sharing in Low Season to US$8620 per person sharing in High Season. 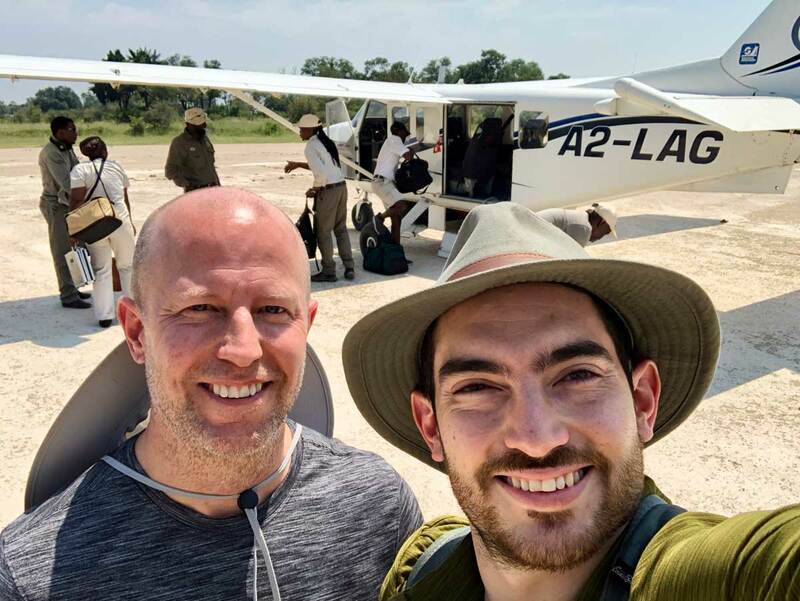 On arrival at Maun airport, guests will be met by a representative and assisted to their light aircraft transfer to Shinde Camp for 3 nights on a fully inclusive basis plus game activities. 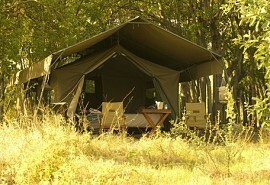 Activities at Shinde Camp include both land and water based game viewing options. Nestled on a lush palm island in the heart of the northern Okavango Delta, Shinde Camp is an intimate camp located on the edge of Shinde lagoon, teeming with animal and birdlife. The main camp's unique treehouse made of a multi-tiered raised dining/lounge area under canvas, set among the shade of ebony and mangosteen, compliments the atmosphere of this original safari camp. After breakfast and morning activities, guests are transferred by light aircraft to Camp Okuti for 3 nights on a fully inclusive basis plus game activities. Camp Okuti focuses mainly on game drives inthe game rich Xakanaxa area of Moremi. Camp Okuti is a delightful camp and lies alongside the Maunachira River which flows through Xakanaxa Lagoon within the world renowned Moremi Game Reserve. 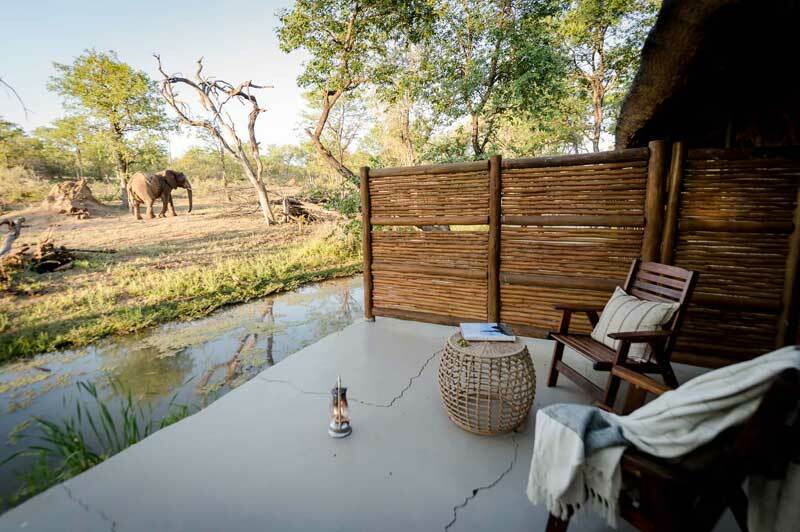 Offering a welcome touch of comfort, Okuti has recently been rebuilt amidst the wilderness of one of Botswana's prime game viewing regions. After breakfast and morning activities, guests are transferred by light aircraft to Linyanti Bush Camp for 3 nights on a fully inclusive basis plus game activities. 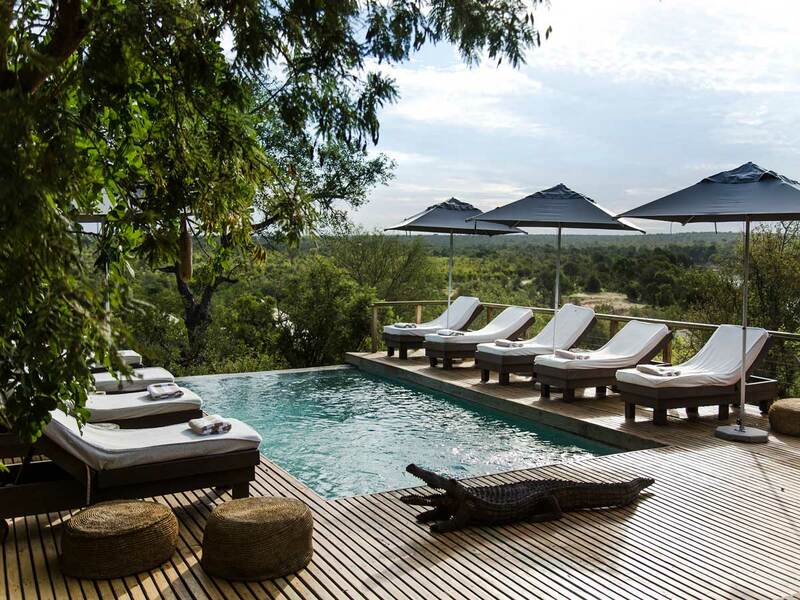 Activities at Linyanti Bush Camp include bush walks as well as game drives. 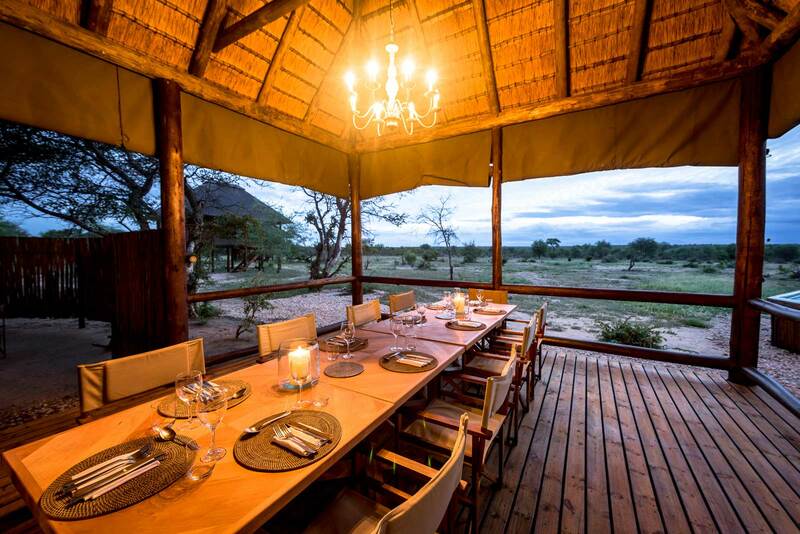 Linyanti Bush Camp is limited to small exclusive groups who seek a personalised experience in a private concession away from the main tourist routes. Activities from the camp consist of game drives, walking, spot lighting and hides. 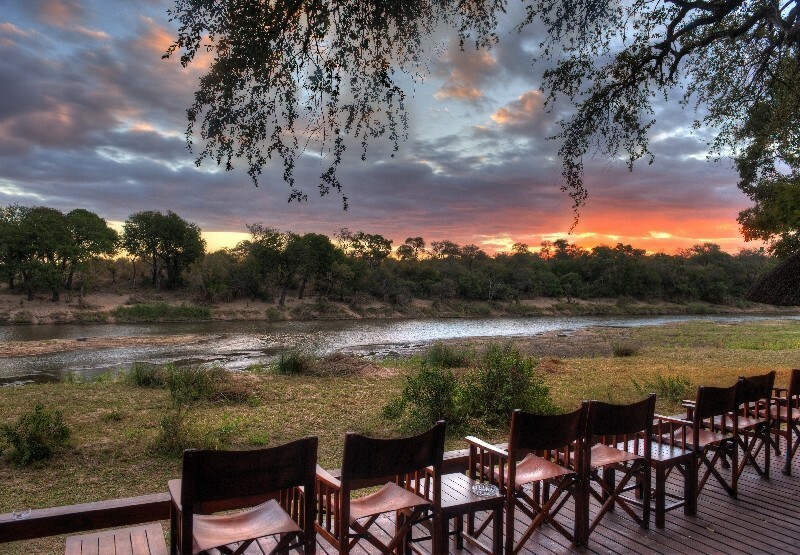 This safari camps provides the perfect atmosphere for an authentic and wild safari experience. After breakfast and morning activities, guests are light air transferred to either of Maun or Kasane airports in time for their onward travel arrangements. 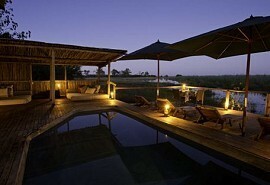 This comfortable safari visits the wildlife highlights of the Okavango Delta and the Linyanti Wildlife Reserve. Guests will experience the waterways of the Delta as well as the game-rich Linyanti area. Activities include mokoro rides, boating and game drives. This luxury safari explores the contrasts and captures the highlights of 3 private and exclusive wildlife areas within Botswana. Guests will experience a true wetland paradise in the heart of the Okavango, the Moremi Game Reserve the Linyanti Wildlife Reserve.